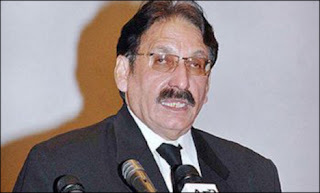 Chief Justice Iftikhar Muhammad Chaudhry has said the executive does not feel happy at times that the judiciary works independently and justly, but the fair and impartial dispensation of justice is imperative for the country to march ahead on the path of economic growth, through establishing peace in society and ensuring the security of investment, commerce and trade. Addressing the oath-taking ceremony of the Karachi Bar Association at the Sindh High Court lawns on Saturday, he said the judiciary could not be held responsible for delay in cases as enormous amount of pendency in courts and lack of cooperation of state institutions also caused delays. For this, he said these institutions reportedly accommodated influences and there were also complaints of nepotism and corruption. “If revenue and police departments perform their functions according to the law, many problems could be resolved without approaching the courts,” he added. Chief Justice Iftikhar said any system other than of law and the Constitution would prove fatal and people would have to suffer its consequences for years to come. “If judiciary exercises its power of judicial review, no body should feel threatened or aggrieved,” Chief Justice Iftikhar said. Sindh High Court Chief Justice Mushir Alam, judges of the Supreme Court and the high court, and judicial officers also attended the oath-taking ceremony. The chief justice observed that the judiciary was accountable under the Constitution as it derived its existence and powers from the Constitution. He said whenever the judiciary had supported the unconstitutional decisions, it created disorder and everybody had seen results of such constitutional deviations. He said nobody should be given preferential treatment by the courts as all were equal before the law. “This principle is vital for the sustainability of the legal and judicial system,” he added. The chief justice said the Supreme Court took up cases regarding missing of judicial officers and lawyers from Balochistan and their whereabouts would be traced without waste of time. He said 90 percent of cases were pending before the district judiciary while rest were pending before the superior judiciary, adding 3.1 million cases were decided in one year since the implementation of the National Judicial Policy in June 2009; however, 2.6 million new cases were registered during the said period. He said the Constitution guaranteed inexpensive and expeditious justice and it was essential that all stakeholders cooperated, including judges, lawyers, litigants parties and court staff to improve the justice delivery system. He said the National Judicial Policy was an important development toward the expeditious and inexpensive dispensation of the justice besides a comprehensive policy had been made to make the judges independent so that they should perform their duties without any personal or political influence. In this regard, he said chief justices and judges of the superior judiciary had agreed not to accept any executive post no matter how high the post might be because the Constitution obliged the executive to separate the judiciary from it. 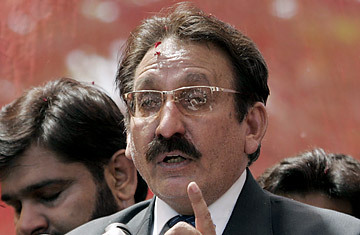 About problems being faced by the judiciary regarding lack of infrastructure and salaries of the judicial officers and staff, Chief Justice Iftikhar said the issue of disparity in the salaries of judicial officers was in the notice of the respective provincial governments, but no adequate steps had been taken by some to remove it. He said it was expected that provincial governments would remove this disparity so that judicial officers should perform their duties with devotion and dedication after their pressing financial needs were met. He also pointed out lack of vacant posts in subordinate judiciary and said that until number of judges were increased, the objective of access to justice at doorstep and quick dispensation of the justice could not be achieved. About backlog of the cases, he said this issue was not new and since long it had remained a problem of great concern. He said a lot of efforts had gone into the process of removing the complexities of procedure being adopted for disposal of cases. However, he said undue advantage had been taken of these technical and procedural complexities of the judicial system, but such legal principles and procedures were meant to prevent the miscarriage of justice and guard against unfair dispensation of the justice.